We love those fan theories and can't seem to get enough. So here are more about Rey and Kylo Ren that will get your head spinning. 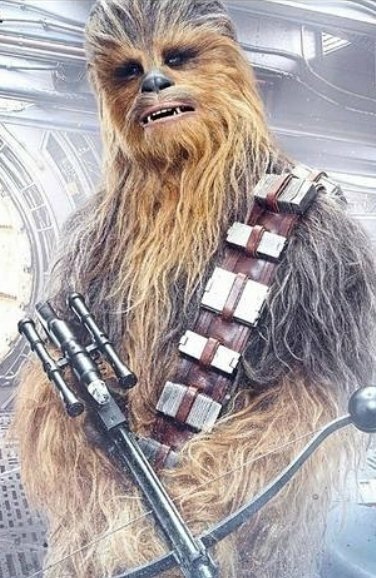 These character in Star Wars have caused a considerable commotion online with unbelievable votes and outcomes. 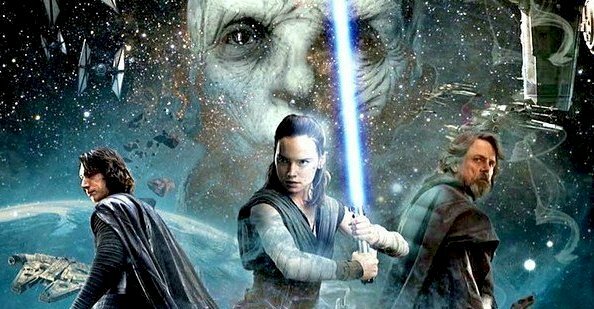 The Force Awakens also represented an awakening of sorts for the Star Wars fan theories, but The Last Jedi turned the internet into overdrive. Theories range from simplistic speculation to extravagant concepts. "Will Kylo Ren and Rey fall in love?" What will the future of the Star Wars universe be and are these two characters prominent? If you're one of these fans who have your own theory, or you love browsing for the web for more hints or spoilers, then this is a must read for you! 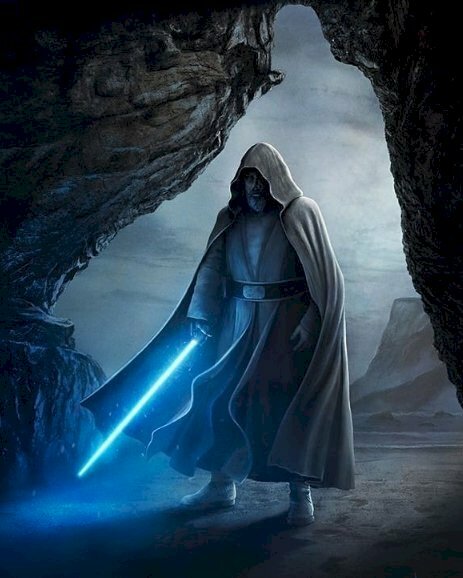 We take you on the journey of Star Wars most voted theories on the web, and hopefully, you'll be able to put the outcome into your own perspective. 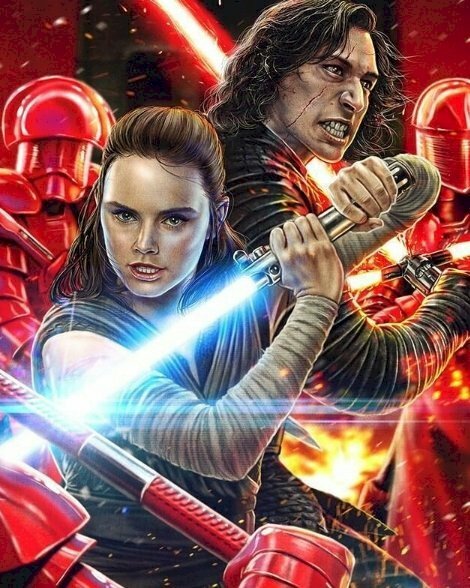 One thing fans can be sure of is, whatever Episode IX delivers, Kylo Ren and Rey will most certainly be involved. 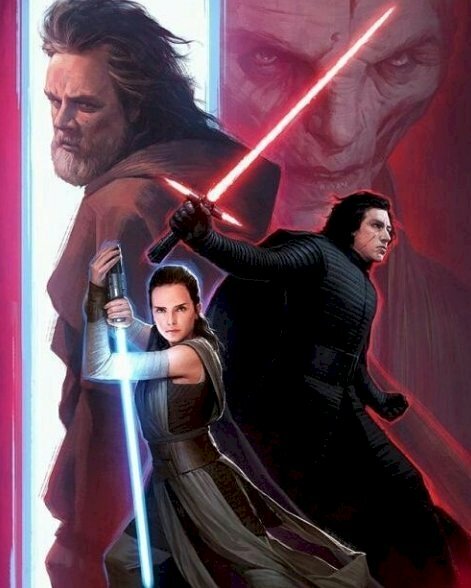 These appear to be the main two characters of the new trilogy, and the responses are anything like The Last Jedi, fans with being eager to speculate, argue and rant about whatever the outcome for Kylo and Rey will be. So let's get straight into these votes. 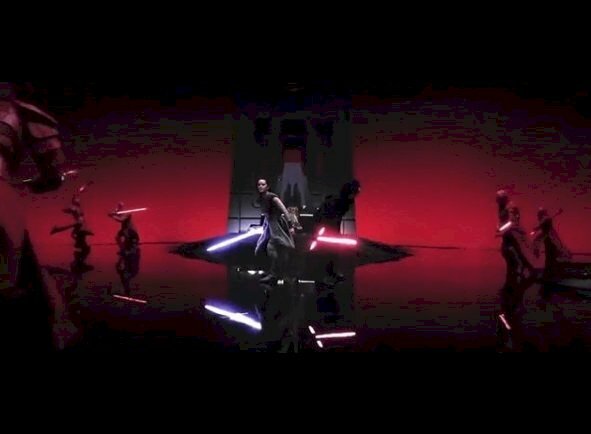 Kylo and Rey defeat the Praetorian guards in Snoke's throne room, and Rey decides not to join Kylo. Instead, she reaches for Luke's lightsaber, while flies out of Kylo's hand, only for Kylo to grab it with the "force." They both tug and pull and the lightsaber through the force until the saber breaks in half. So, if you think about it, this could represent Kylo and Rey's equality in the force. They are both equally strong, and neither can take the upper-hand in battle when using the power. This couple is sure in for one exciting battle if they are to beat each other. If this theory is correct, it will mean that no matter how often they duel, neither of them will defeat each other. Rey does defeat Kylo in The Force Awakens, but he was severely wounded in that battle. In the throne room, they both seem to be at their strongest point, and because their desires are so fully charged, they destroy the one thing they both want. "In TFA flashback scene we see a ship leaving Rey on Jakku. She is crying and screaming when this happens. In The Last Jedi Kylo tells Rey this: You are nobody. Your parents are nobody. They were filthy junk traders, sold you off for drinking money. They are dead in a ( inaudible) grave on Jakku desert." If the parents were meant to die on Jakku, and buried in a desert grave, they must have stayed in Jakku. We see a ship leaving Rey and leaving Jakku. To add onto that, can junk traders afford such a cool looking spaceship? If you google "ship from Rey's flashback," it doesn't look like the ship that was designed to carry junk and appears to be a lot smaller than the Millennium Falcon. "The connection between Rey and Ben, though amplified by Snoke, has been there since The Force Awakens. They are the balance of each other, which means they will always be drawn to one another — it sounds cheesy, but they 'complete' each other in a way. Though Rey rejects his offer to follow him and join his new order, fans doubt that that connection is going away." The vision of The Force will probably continue, and Snoke may have connected them initially, but with their powers growing, that connection won't sever. 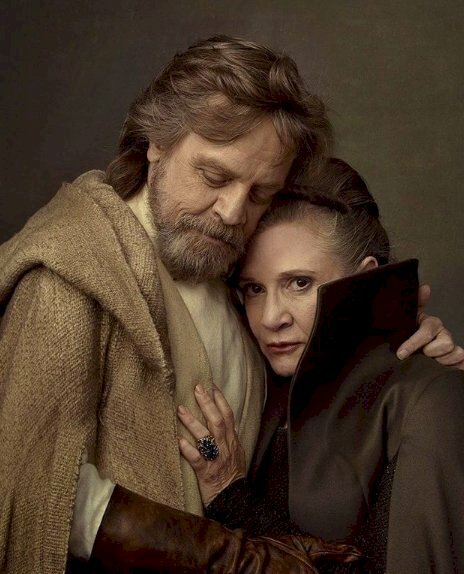 In Episode IX, a shutdown of these two is inevitable, and whether they have romantic feelings for each other or not, the stakes are high with their next battle. "Rey, Snoke, and Kylo all have visions of the future in The Last Jedi."... "Rey and Snoke's visions come true, but not in the way they expected. Essentially, these visions were misinterpreted. Rey thought that Kylo would turn to the Light Side. Kylo did turn, but he turned against Snoke and didn't join the Light Side. Snoke thought Kylo would kill his true enemy, Rey. Kylo did kill his true enemy, but it was Snoke, not Rey." "I believe that Rey will join Kylo in Episode IX, but she won't turn to the Dark Side. 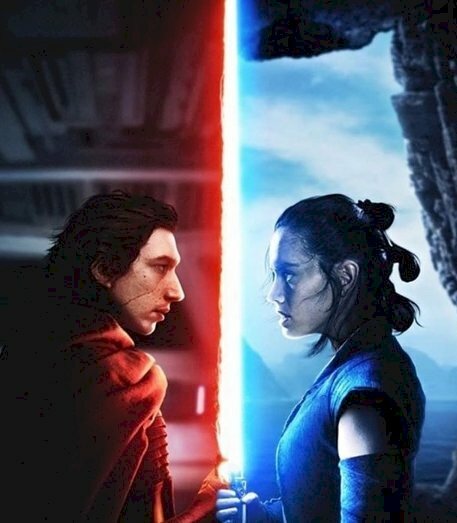 Instead, Rey and Kylo will form an alliance between Light and Dark that can truly end the cycle of destructive conflict and bring peace to the galaxy. In this case, Kylo’s vision would come true in the sense that Rey would join him, and she would 'turn' to a certain extent, as she’d be pivoting away from the Jedi and towards a gray area between the Light and Dark. However, it would fit with the theme of visions being misinterpreted, as Rey wouldn't turn to the Dark Side." "Kylo has a vision that Rey will join him, and believes this means that Rey will turn to the Dark Side. However, Rey doesn't join him in The Last Jedi. So, this vision has not yet come to pass." By the end, Luke and Snoke are dead. 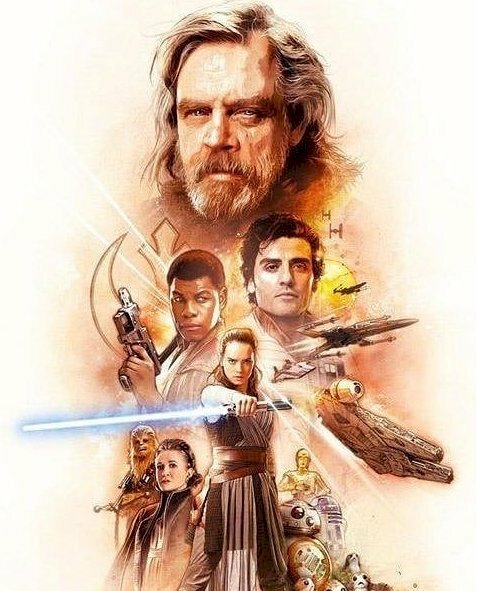 This means that in Episode IX. This will say that it's all up to Rey and Kylo to blaze their own trail. The prequel trilogy ended with the Dark Side being triumphant, and the Light Side defeated. 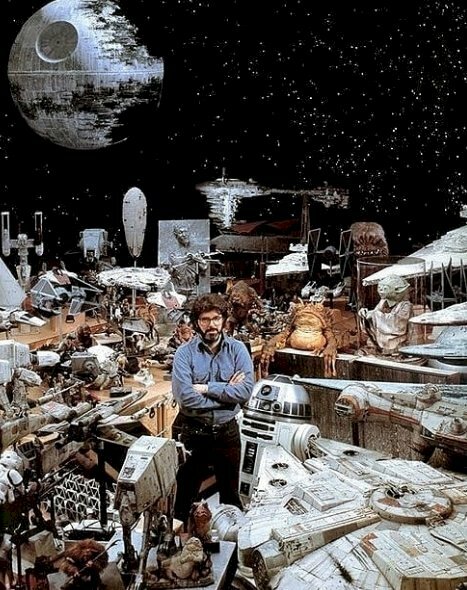 In the original trilogy, they finished with the Light Side being victorious and the Dark Side destroyed. 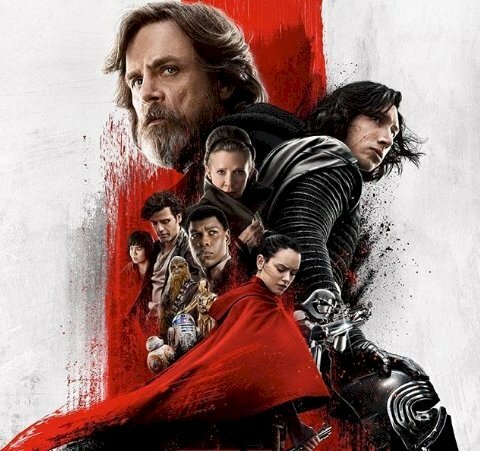 So opposite in this case, and perhaps this sequel trilogy will end with the Light Side and Dark Side united in true balance. "What we are shown is this: After Holdo's kamikaze attack Hux arrives at the throne room in the right moment to witness Kylo Ren regaining consciousness. Kylo looks around and ask him where Rey is. Hux says she has already ran away." So, perhaps she woke up early, right? The details must have been different, but the point is the same. When Rey wakes up, she faces the same dilemma that Luke had earlier, and this is the most significant moral dilemma of the whole story. Should they destroy evil when given a chance, even without guidance and no way of knowing how to defeat it? "In The Last Jedi, We see that Kylo’s attack on the Jedi temple was triggered by Luke activating his lightsaber near Kylo so that Kylo thought Luke was trying to kill him. The attack on the Jedi temple was not planned by Kylo." "The knights of Ren didn’t exist at that time and what we saw in Rey’s dream after she touched the lightsaber in Episode VII was the knights standing at a massacre that has not happened yet. Essentially Rey saw into the future there and that is where the finale of the new trilogy will take place." The Knights of Ren were perhaps, recognized in Episode VII, but they could have easily been trained or starting. It is possible for them to become the new supreme leader for Kylo's replacements in the Imperial Guard. That is something to contemplate. "The ending of The Last Jedi shows people across the galaxy beginning to manifest Force abilities. 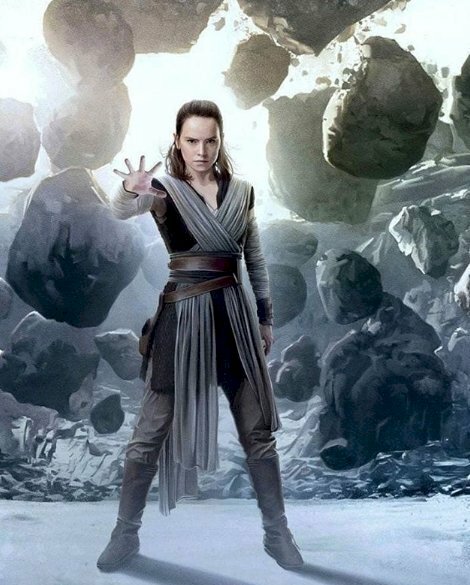 Rey, who has the original Jedi scriptures from Ahch-To in her possession, will have gathered some of these Force-sensitives as a nascent Jedi Order to help the Resistance rebuild their forces in the aftermath of the Battle of Crait." "Meanwhile, with Snoke and Phasma dead, the Knights of Ren, who have yet to be shown in the trilogy beyond flashbacks, will take a more central role in the story as Kylo Ren's elite and devoted followers in the final battle to come." These theories get more technical as they go along, but we hope you're following with us so far. The speculation never ends, and some Reddit users believe that the title of Episode IX was hidden somewhere in the opening crawl of Episode VIII, as "The Last Jedi" appeared in the opening crawl of The Force Awakens. This makes sense, doesn't it? The best candidate appears to be "A Spark of Hope," and it's easy to see how such a title could relate to Kylo Ren and Rey. 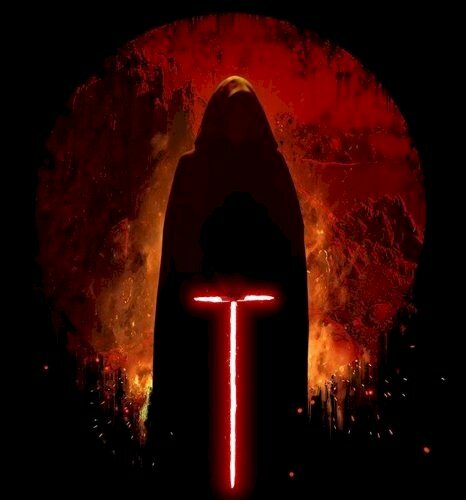 The 'spark,' though we are not 100% sure, could refer to the remaining light side in Kylo Ren, and the 'hope' could be Rey’s hope that Kylo can escape his dark side, and return to the light. "While watching the film I was personally shocked to find out that Snoke was behind the merging of Kylo and Rey’s minds. Rey and Kylo both knew the other had nothing to do with it. I believe Kylo figures out pretty quickly that it was Snoke and that he will have to kill Rey." Once he figured this out, he realizes that he is in a position of power. He reveals his good side to Rey, knowing he still has a chance to turn to the light. He shows Snoke his angry, hateful side towards Luke, the Jedi, and the rebels. Manipulating them both into thinking that they have a chance at defeating him. He knows their weak points and uses that against them. Rey is emotional, and Snoke is a stronger character in comparison to Rey, more of an enforcer. "Consider: Anakin was force conceived by Plagueis/Sidious. What if Rey is the attempt of Snoke to do the same thing, except he’s not powerful enough to force conceive a child. He instead is powerful enough to imbue the force into an already conceived child. Rey was Snoke’s contingency plan for an apprentice if he was unable to turn Ben Solo to the dark side." This would explain why Snoke seems to be familiar with Rey, and why Rey appears to be the counterpart force-wise to Kylo Ren. On another note, Rey’s parents probably found it easy to sell her off; once Snoke turned Ben, he did not need Rey anymore and deceived his parents by selling Rey to Unkar Plutt as a way to recoup their losses. "More importantly, this does not contradict TLJ which established that Rey was born a nobody. This also provides parallelism to Anakin’s story of being born a nobody too. Finally, this provides dramatic irony assuming all of this is true — Snoke created Rey as a dark side countermeasure to Ben Solo if Ben could not be turned. Ben turned to the dark side, and Snoke abandons Rey. As a result, Rey then becomes the light side countermeasure to Kylo Ren." "Snoke spends the whole movie manipulating Kylo and Rey in order to create the next Vader. The mind bridge led to an intimacy between the two, and they grew to know and care about each other on a romantic level. Is Snoke just trying to get his loner apprentice a date? Sort of. This connection was designed by Snoke in order to reproduce the Anakin-Padmé fear of loss dichotomy." "At the beginning of the movie, Snoke shows disappointment with Kylo Ren for being bested by a nobody. He talks about how he originally wanted Kylo to be the next Vader, but his young apprentice isn't there yet. Kylo's 'spirit is torn' from killing his father, and he later fails to shoot at his mother's ship. It's a good thing that he didn't kill his mom, but in the eyes of a Sith Lord, it would be considered a failure of commitment. Snoke also explains to Kylo that it's useful to have a trash-tier general like Hux in a position of power because his weaknesses can be exploited." "Or something. Well, that works for Kylo as well, who has serious Grand-Daddy issues and a lack of resolve from a torn spirit. This is where Snoke's plan to connect the love birds comes into play. He anticipates that his lonely, angsty, edgelord of an apprentice will grow attached to Rey. Picture creepy Snoke listening in on their private conversations. He has read up on his romance novels and sees where this will go. Snoke waits for his apprentice to be shirtless and then puts him on webcam. That was no coincidence. After all, he's the one who sent those visions to her." Wow, so that puts us on track, and thanks to the lessons of the past, Snoke must have known that she would try to save Kylo, and that Kylo would eventually betray him. These pieces all fit nicely together once you have a few concepts in mind. So, his plan led them to join forces against him then ultimately destroy, right? Not such a great idea though. If he died, that would have been a brilliant plan, just like Luke's fake death, giving the rebellion time to escape. Snoke also appeared to die to get closer to his goal of cheating the next Vader. There seems to be a pattern with all superheroes and villains; their common goal is to fake their death to achieve destroying or defeating the enemy, or vice-versa. We hope you enjoyed reading these fan theories, and it should give you a broader perspective of what to expect next. Remember to share this with your friends and family, and stay up-to-date with us for more mind-blowing theories and action-packed topics.